The fifth and six events of the year were held at the Leyte Academic Center in the Philippines across March 30-31, with Malicdem scooping Saturday's Event Five title on home soil with a 5-2 win over Teng Lieh Pu Po. 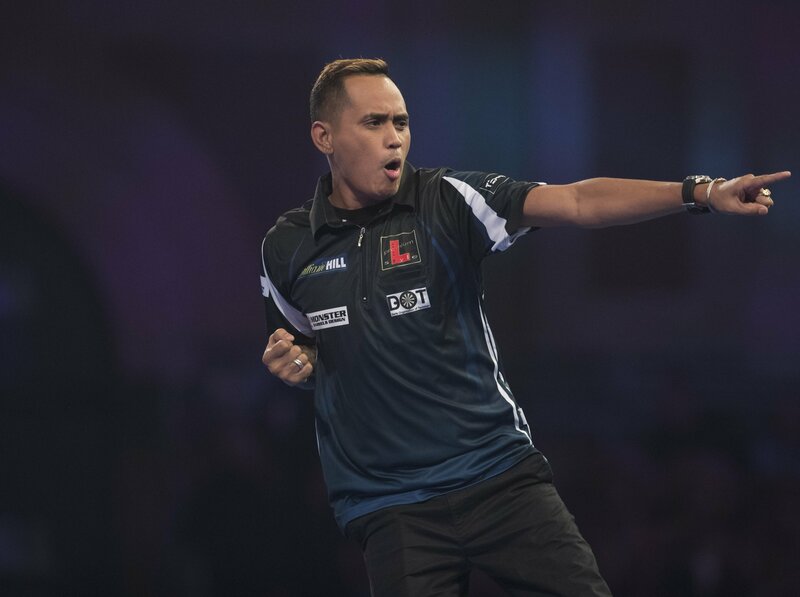 Malicdem enjoyed a winning World Championship debut in December against Jeffrey de Graaf, and was one of five players to make it to Alexandra Palace via the Asian Tour Order of Merit, along with his fellow-countryman Ilagan. 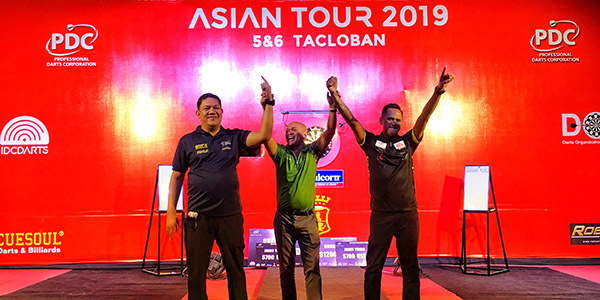 Ilagan, who won three events in 2018 to top the Order of Merit, saw off 2019 leader Royden Lam in the quarter-finals before a 5-3 victory over Yuki Yamada in the final. 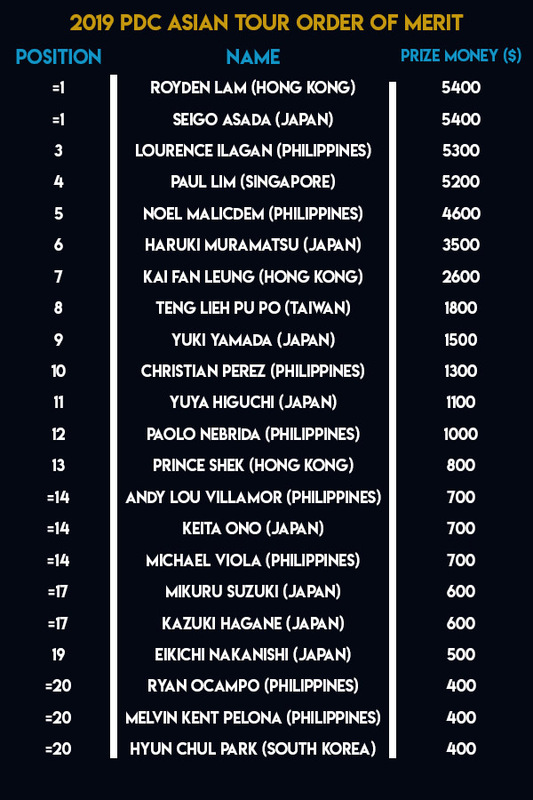 Ilagan moves up to third on the standings, while Malicdem goes fifth. Events Seven and Eight will be held at G Club, Taipei from June 22-23.